Marshal Stewart (#2) and Jakob McConnell (#1) had a spirited battle in the 800m race. 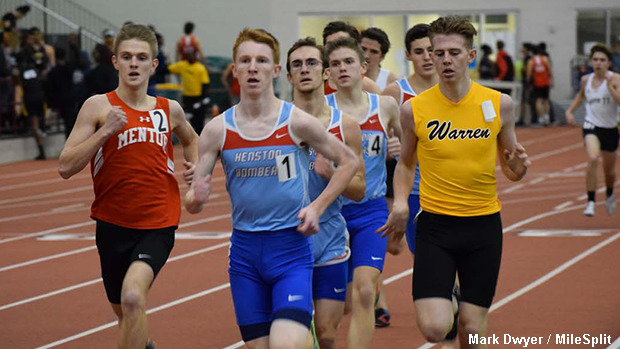 The NEOITC series resumed on Wednesday evening at the SPIRE Institute with athletes from the Buckeye Division competing at Meet #2. Continue reading about some of the meet's event winners.